VooFoo Studios, The developers behind This Is Pool have a new game to announce. 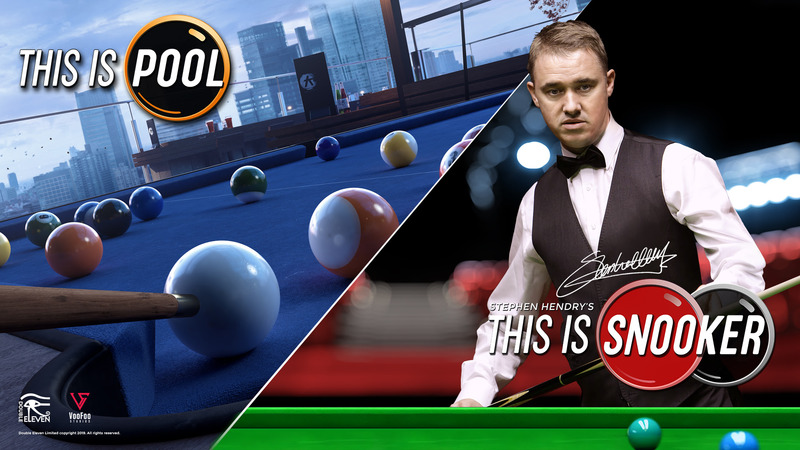 This Is Snooker featuring the legendary World Snooker Champion Stephen Hendry is coming to the Nintendo Switch as well as other consoles and PC. A Deluxe Edition will also be available that will include both This Is Snooker and the previously released This Is Pool in one package. An exact release date has not yet been confirmed but if you would like to know more about the This Is Snooker, you can find out more in the official announcement below which also includes a trailer. Published by Double Eleven and developed by cue sports masters Voofoo Studios, This Is Snooker will include the previously announced title This Is Pool and will be available as the This Is Snooker – Pool Deluxe Edition, in a content-packed, complete cue-sports experience. This Is Pool will also be available to purchase separately. Play every major type of cue sport in six painstakingly-detailed locations with full pool and snooker career modes, mini games, trick shots, practice mode and extensive local and online multiplayer modes in a truly immersive cue sports simulation.